This article is an attempt to conceptualize schizophrenia as a dynamical disease (Mackey and an der Heiden). In accordance with synergetic models, different evolutionary patterns of schizophrenia are regarded as representing coherent dynamic patterns evolving out of a complex biopsychosocial system. 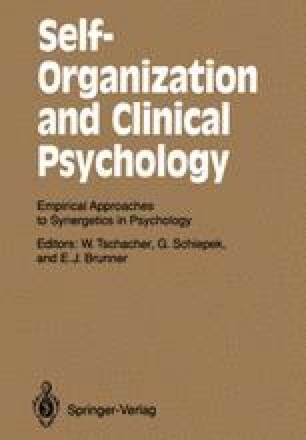 Findings indicate the significance of cognitive disorders, stress, withdrawal, expressed emotion and delusions for the development of schizophrenia, and the nonlinear interactions of these variables (constructs) have been taken as the basis for a computer simulation of the evolution of schizophrenia. The model allows the generation of different evolutionary patterns according to the parameter values chosen.